Download Stickered Apk If you are using the Facebook messenger on your Android phone then get the new Stickered for messenger app to add cool stickers, emoticons and funny captions to your photos and share them with your friends. 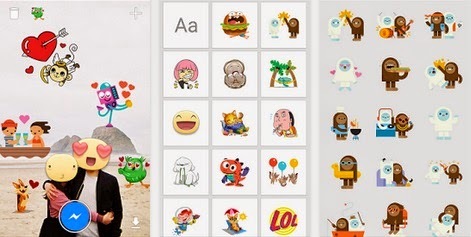 Stickered is a companion for the official Messenger app by Facebook so you need to have the app installed on your Android phone before you download the Stickered app from the Google play store or download the Apk. Get the app for Android from Google play or download the Stickered Apk from here and once you install the Stickered app you can open it and choose the camera option to take a phone or the gallery option to choose from your previously taken photos stored on your device and add custom stickers, captions and emoticons to them. You can either send the decorated photos directly to your friends or save them to your photo gallery.